What I really liked about Tucana HR's Analytics conference was the exhibition. Normally I just pop round a conference exhibition but spend nearly all my time in the conference sessions. Here I found the exhibition engrossing. I first talked to Revelian from Australia. They have a couple of interesting analytical tools. One was a recruitment game, Theme Park Hero, which produces feedback on abilities as an alternative to psychometrics, a bit like Knack's Wasabi Waiter, or Balloon Brigade. They also have a role for analysing email traffic, reviewing roles and behaviours and visualising these through social networks. I thought the graphics in the game looked a bit dated but the analytics looked great. 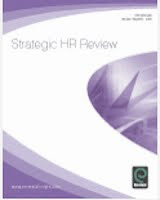 Then there was OrgVue, the closest equivalent to Tableau in the HR space, which I know from the iHR competitition at HR Tech Europe when I was judge / conference chair. I love OrgVue's visualisations but I was possibly even more attracted by a new competitor, Talent Lab (pictured above.) I thought OrgVue probably won out in terms of using their tool to update the master data. Talent Lab was ahead on interrogating data using different categories and seeing the visualisation change as the new search terms took effect. I really liked the way these systems demonstrated the key storytelling principles described by Cole Nussbaumer, eg focusing attention, removing clutter and in particular using motion. This capability is important as to me, it's what makes the tools analytics as well as purely visualisations. Anthony Hesketh was talking the need and opportunity to ask a question, then another question, then another question. And it's the ability to interrogate data, particularly visually, as shown above, which make this type of iterative insight generation not just possible but really easy. Today's HR Magazine notes research by the British Heart Foundation showing that sitting for long periods of time can result in greater risk of type two diabetes and cardiovascular illnesses. “The simple act of standing for even as little as two hours per day can increase muscle activity and have a significant impact on health and wellbeing." 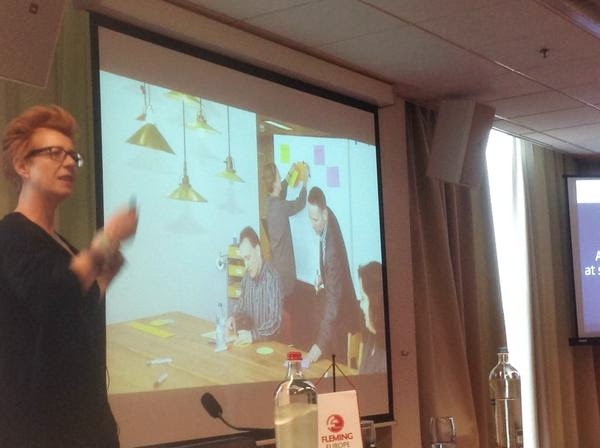 It's something we discussed in depth at Fleming's Smart Workspaces Summit recently. In fact I was so convinced by the discussions there that once I got home I bought my own sit-stand desk. I looked at Varidesk which I would have placed on top of my existing desk in our home office but eventually bought a self-standing (or sitting) Bekant desk from IKEA which we've placed in our entrance hall. I use it pretty much the whole working day now, never mind just 2 hours per day and definitely recommend these desks to you. But then, I do think a lot what sit-standing is about is flexibility and putting more humanity into the workplace, not just wellbeing. Plus standing is good, but it's not as good as actually moving around. My own advice to organisations is to make all of these types of workspaces available to their staff too. Including working from home as an option. 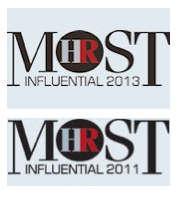 And as I've been posting, I think HR needs to involve itself in these areas of the workplace as well. 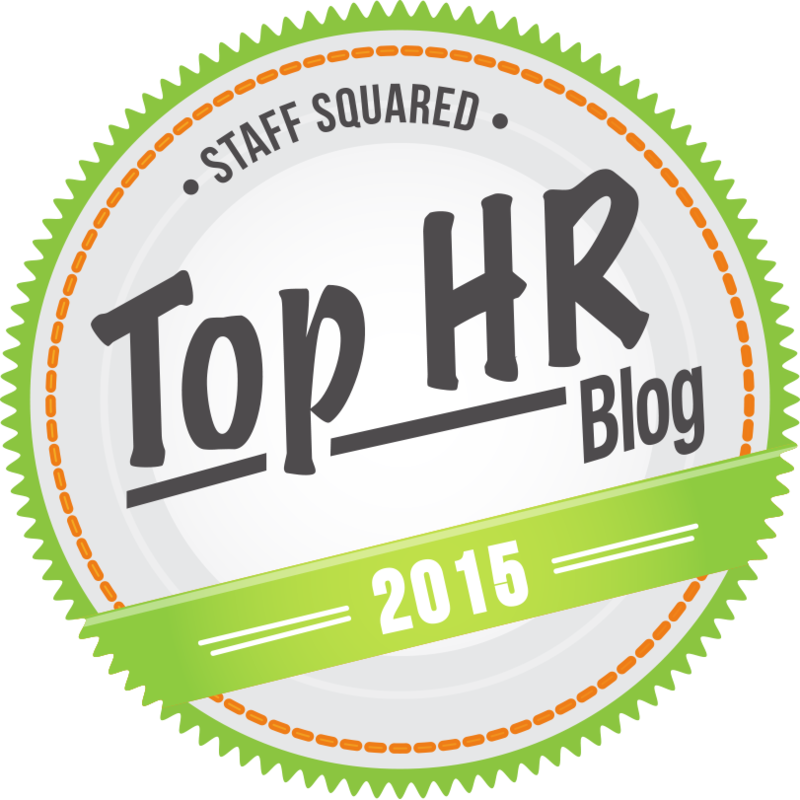 I'd like to say thanks to Staff Squared for including Strategic HCM in their list of 20 top HR blogs of 2015. I'd be even more honoured if you place it in your own list of top social media sites too! I read quite a few of the other blogs on the list so check those out too. I’m at Tucana HR’s People Analytics conference today. We had a session from Peter Howes earlier who noted that interpretation and telling a story is just as, if not more important, that the actual analytics he had been describing. I agree, so I’ve been looking forward to the current session with Cole Nussbaumer, ex Google, on telling stories with data. Andrew Marritt introduced the session by talking about Stephen Few who presented at one of Peter’s / Infohrm’s conferences I also spoke at some years ago and I saw links to some of his insights in Cole’s session. We get taught how to tell stories and how to use numbers but not both together. Doing so requires clarity about the business context, who is the audience and what we want them to do before thinking about how data can help make the appropriate point. Options include simple text, tables (which interact with our verbal system) and graphs (which support our verbal system which is of course quicker.) These include line graphs, slope graphs, bar charts, but probably not, as you’ll hopefully know if you’re working in analytics, pie charts. It helps to remove clutter. 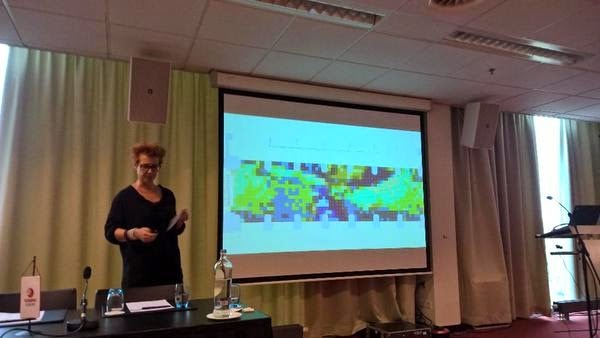 Here we talked about Gestalt principles of visual perception - including proximity, similarity, enclosure, closure, continuity and connection. The more we take away the more our data stands out. And to focus people’s attention. We see stimuli with our eyes and our brains which is where perception takes place. Eg we know about short and long-term memory but there is also Iconic memory which pays attention to pre-attentive attributes - including orientation, shape, line length, line width, size, curvature, added marks, enclosure, hue, intensity, 2D position, motion. We can use this to provide a hierarchy of information. The final need is to tell a story - a plot (what context is essential? ), twists (what is interesting about the data and what it shows?) and an ending (what do you want your audience to do?). This helps us retain information to tell to someone else. Words have a very important role in helping describe data - annotate it with text. Cole demonstrated the difference between a real life example of a client graph and how this would be developed using the above principles - simple, but not easy, and very important. Sorry for the delay but here are my additional notes from Fleming's Workplace Design summit. I’ve already taken you through my panel on HR and workplace design, and shared workplace design case studies from Google, eBay and Airbnb. We also heard other interesting ideas from Tim Yendell at RBS, Carole Hop at NN (ING) and Henrik Lovgret at Maersk but for me, these missed the emotional aspect of Google, eBay and Airbnb’s case study. There was some talk about whether it would be possible to extend these latest approaches to a more traditional and particularly large organisation ie whether they would be scaleable. So my favourite case study of all came from Swisscom, because they showed that you can build a really compelling, human centred workplace design too. You'd be surprised if Google, eBay and Airbnb didn't have a funky workspace but Swisscom is a traditional business with 20,000 employees. Their approach is being led by a couple of mavericks but they're involving the main Facilities department too so there is an element of scalability in their approach as well. Swisscom’s approach to workplace design has emerged out of its experience centred strategy for customers. Space communicates the company culture so they need a similar employee centred strategy for the workplace. This focus underpins everything they do and their advice never to forget the why - so whether the need is to improve decision making or project management etc, workplace design is about making tomorrow's work culture visible today. Which means it has to be about doing something different - rethink, don't repeat! Brain Gym - designed to change the way we interact and learn. The area included lots of different environments and most interestingly, a 'carpet by numbers' - a picture of an Alpine scene which had been pixelated and then made into carpet squares providing a modernistic representation of the local scenery. Project Gym - designed to change the way we work - involving separate areas for silent work, formal and informal desk work, meetings, strategy / decision making, team collaboration and prototyping. Some of these areas were also divided off, some of them by using what seemed to be cheap if pretty shower curtains. The reason for this was that, like most big companies, Swisscom are operating under significant financial constraints as well. Airbnb design and source custom furniture locally and find they can do this at half the price of Herman Miller. Swisscom extend this much further, engaging in ‘furniture hacking’ - finding ways of make or buy resources on the cheap eg desks previously used by the German army and bought on eBay. I thought it might also be worth noting some of the other things Swisscom are doing in relation to some of the other key aspects we covered and in particular sound and vision. Airbnb also talked about this with their strategy of visual transparency and aural translucency - preserving visual access to the space as a whole whilst providing a myriad of opportunities to find acoustic privacy away from ambient noise. But again I thought Swisscom had the most creative approaches. Light meets functional, biological and emotional needs. We find the evening sun relaxing, the morning sun makes us energetic and sun shining through trees is pleasant and pleasing. Dim warm light makes us more likely to solve conflict through collaboration rather than avoidance. Philips have used these factors to create different human centric lighting scripts changing the light level and spectrum for collaboration and communication, inspiration and creativity. They can also be used to regulate the body clock. Airbnb also talked about this in terms of having a call centre in Portland with a light and dark side so they accentuated the differences between the two with the light side becoming more conversational and the darker side more for focused work. Swisscom had designed a quiet room but people were using it for meetings so they redesigned the space, making it more like a library with old fashioned, dim lamps and it then became a quiet space. If there aren't any windows you can display a light effect on a panel. It can also help you see the office in a whole new light - walls and ceiling made out of light to make rooms feel bigger, materials providing light to make it feel like the sun is shining on you or integrated into materials eg the flooring to direct people in a pleasant way. Other uses include transparent glass which can double as translucent panels to provide flexible partitions or provide interesting views which are dynamic and change over time. Light can also simulate natural effects eg clouds drifting by above you. Light is also data and is becoming part of the Internet of things or the Internet of spaces. For example you can have an app which uses an unique code transmitted by white light to control the lighting around you and make it more relevant for different contexts. It can also connect with the blind systems to provide an appropriate mix of natural or artificial light. So light can do a lot but you still need to provide appropriate space. People like nice wide vistas (Nigel Osland didn't mention it but aren't we supposed to like a view over open water too?) We don't like people looking over us so we prefer to sit with our backs to the wall (as I had chosen to do during the conference.) Google, eBay, Airbnb and Swisscom all demonstrated an absence of traditional cubicles, and more natural views and spaces. I think all the case studies were based upon working with people to help them design their environments. Airbnb went round Portland with their employees to draw inspiration from the city and also observed what they were doing. Google spent a week observing people in the workplace and recommends everyone finds an interesting space to sit in for half a day to observe why people drink coffee, why they're not using the expensive coffee machine etc - sit and be surprised! Swisscom suggested we take a look at the toilets. 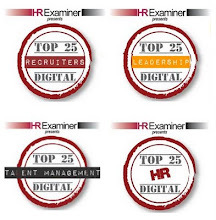 So another great event from Fleming Europe - but more HR people need to go along next year. 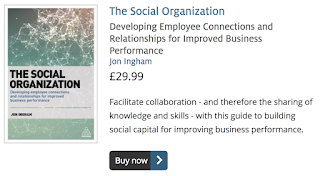 If you're in HR you will benefit from it, and we can also start to develop the more collaborative approach I referred to in first post! You know that a lot of my focus goes into helping develop organisations develop their human capital. Well out in Riyadh, Saudi Arabia where I was presenting on personalised learning at the ATD MENA conference, there was also lots of focus on helping the country develop their human capital. So when I was given the chance to present an additional session I leapt at it, and tailored an existing presentation to the needs of developing organisational human capital for the benefit of national human capital too. 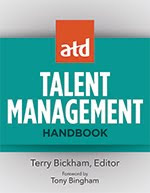 I've written all about this at the ATD's Global Human Capital community blog - take a look here. So why ask about salary if candidates will exaggerate it? 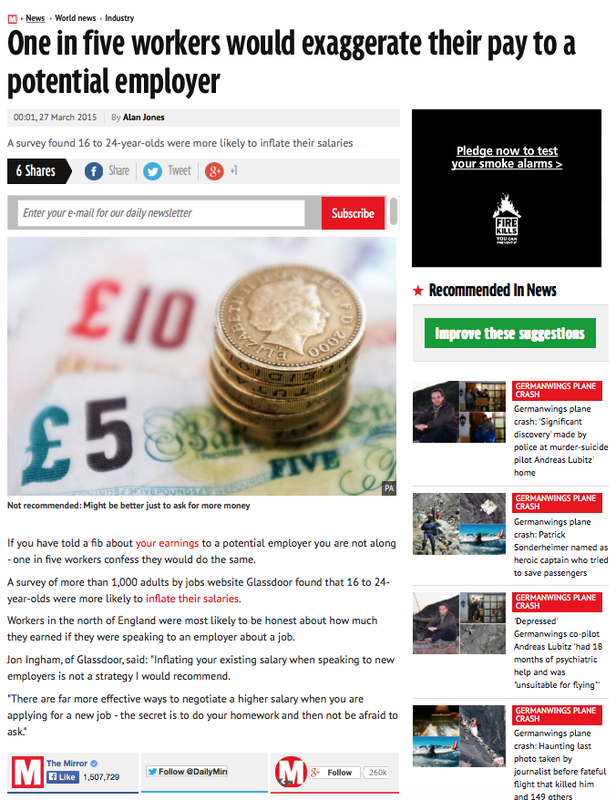 I'm quoted in this article in the Mirror, and elsewhere, commenting on Glassdoor's latest survey about salaries, finding that one in five candidates would lie about their current salaries. 1. Don’t be afraid to negotiate, employers fully expect you to do this. 2. Research is key. This will enable you to pitch an appropriate salary range for the job based on your research of similar jobs in the same region and sector. 3. Be realistic about where you are in your career and what you can achieve – don’t expect to have much negotiating power if you are just a few years into your career. 4. Make sure you express your interest in the job and the company before you start trying to negotiating a counter offer. Tell the recruiter why you would love to accept the role, how much value you can bring to the organisation and so on. 5. Negotiating a higher salary can often go backwards and forwards several times. Do not panic if this happens, if often means the employer is trying to meet you halfway. 6. If securing a specific salary for a new role is a deal breaker, you need to have a clear ‘walk away’ figure in your head. 7. Practice your negotiation skills with a family member or friend. If your manifesto for a higher salary doesn’t convince your role play partner, it’s unlikely to seal a better deal with your new employer. 8. Be prepared for "no" as another possibility and prepare in advance as to how you will deal with this. 9. If you can’t get the salary increased to the level you request, you could ask them to increase other elements of the package such as the bonus for example. 10. Alternatively, you could agree to review the salary following the successful completion of the probationary period. Actually, I think the surprise is that not more people would lie. To me, 'how much fdo you get paid now' is just a stupid question for an employer to ask, basically meaning they haven’t worked out what someone should get paid or if they’ve got the experience they need. So I think many people would tend to reinterpret it as ‘what do you think we should pay you’ and so of course people increase what they say. This means that employers end up paying more for better negotiators than for better performers and is probably one of the factors behind the gender pay gap. It's a draft question. Don't ask it. Offer what someone is worth to you and if they need more, talk about how you might increase it later. You may also be interested in this Glassdoor survey on pay transparency.